When you open the File Explorer in Windows 10, you’ll see a list of recently used folders/files. This feature is useful for you to quickly access your frequently opened folders/files, but it also exposes your recent activities to others when you are on a shared computer or a public computer. 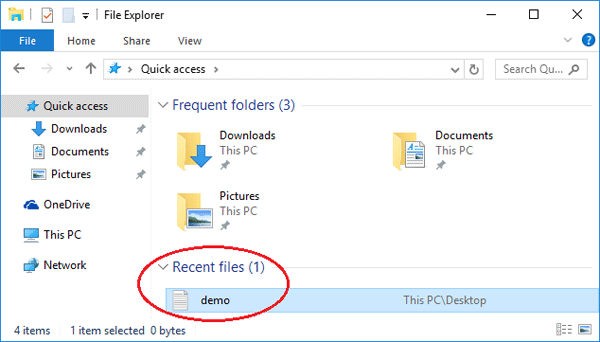 In this tutorial we’ll show you how to clear or hide the recent files in Windows 10 File Explorer. Open File Explorer. It includes two sections: Frequent folders and Recent files. 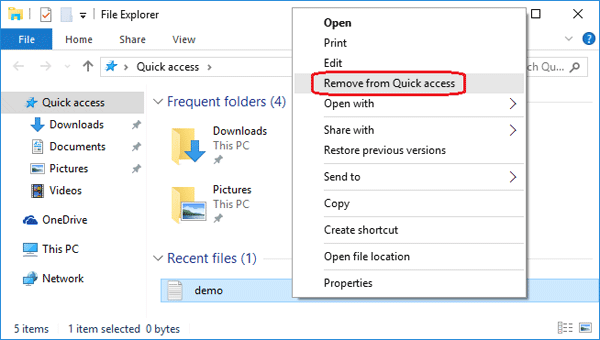 Right-click on the recent folder or file you want to delete, and select Remove from Quick access. 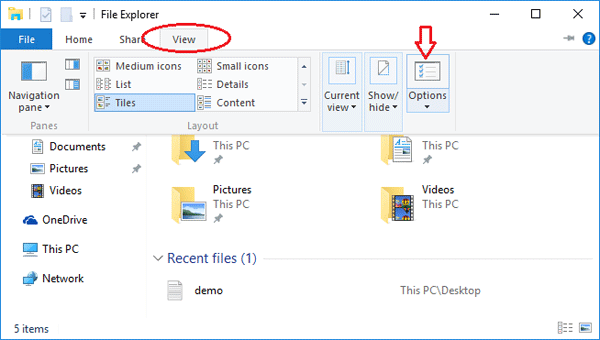 In File Explorer, go to the View ribbon section and click the Options button. Once you’re in the Folder Options window, click General tab. Under Privacy at the bottom of the window, uncheck “Show recently used files in Quick access” and “Show recently used folders in Quick access“. Click Apply and OK. The recent files and frequent folders will immediately disappear from File Explorer. 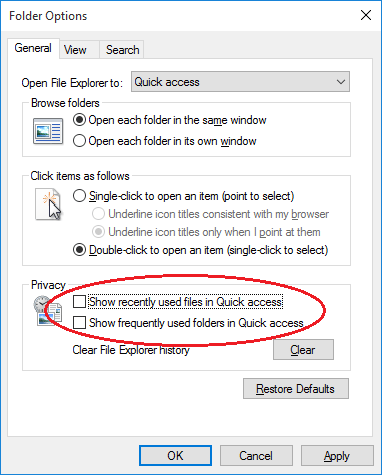 Note that re-check the option “Show recently used files in Quick access” and it will also make your recent files appear in File Explorer again.